Great for keeping corndogs, funnel cakes or french fries warm. 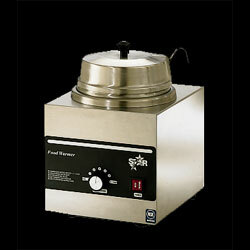 Comes complete with pan and screen, adjustable lamp height for temp control. 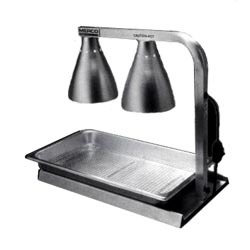 Twin 250Watt Heat Lamps require 110 Volt, 4 Amp electrical service. Great for keeping canned cheese, chili and other pour-able foods warm and ready to serve!